with my official marathon bag slung over my shoulder. On the morning of the marathon, I awoke at 5:11am, still a little groggy from my nighttime medication, but there was no time to waste. 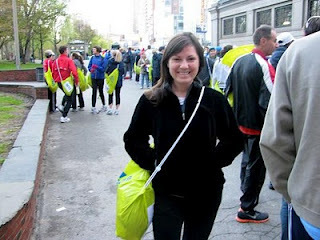 Out the door by 5:45am, I walked from my friend’s apartment down Chestnut Hill Avenue, proudly carrying my neon yellow official marathon bag slung over my shoulder. This bag contained everything I needed for the long and momentous day ahead. 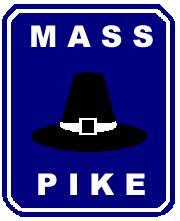 Riding along the Mass Pike, I watched the trees, buildings and exits rush by. I couldn’t believe I’d be running this WHOLE way back! The long bus ride got even longer when our bus somehow ended up going the wrong direction on I-495 for a bit. A simple trip to Hopkinton began to feel more like a pilgrimage. When our bus finally turned around to head in the correct direction on the highway, I realized that I needed a restroom soon. I’d dutifully “hydrated” all morning and now it was catching up to me. After an hour and fifteen minute bus ride, we finally passed a “Welcome to Hopkinton” sign around 9:15am. I thought, “We must be close… You can make it, Julie. Just hold tight.” We were off the highway and on a small back road, when our bus came to a complete stop, stuck in marathon traffic apparently. I tried to stay calm. I noticed a few other runners getting on and off buses in front of ours, and I assumed these brave souls were using the woods on the side of the road for the same reason I was sitting in pain. Once off the bus, we examined the light woodsy area at the side of the road and quickly realized that there wasn’t any good place for us “to go.” Just brush and soggy marsh-like areas. In addition, there were thorny vines EVERYWHERE. We tiptoed into a thicket of thorns, and I took off my fleece, making an impromptu “privacy shield” for my new anonymous bathroom buddy. We chatted about the race and about how we should have used the porta-potties before we got on the bus. She was a “qualifier” which meant that she was a fast runner. Together, we stood about fifteen or twenty feet off the side of the road, with cars and buses passing by us at snails pace. It was an all-time low for me – an act of true desperation. It was sad, comical, and sketchy all at the same time. I’d left my official bag with ALL my stuff on the bus – including my bib and tracking device (the two things you absolutely need to run the marathon). 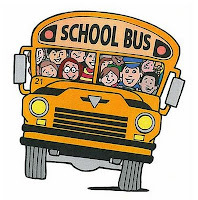 My mind began racing, “Would the woman sitting next to me on the bus grab my bag for me? How would I find her in the Athletes’ Village among the 25,000+ other runners?” My bathroom buddy was a bit smarter, bringing her bag with her. We had no idea how far we are from the Athlete’s Village and the start-line, but we thought it couldn’t be very far. We trekked along the side of the road, walking and walking more, with cars passing by quickly now. Time was passing by quickly too! It was 9:45am. Wave 1 of the marathon started at 10am. Wave 2 (my wave) started at 10:30am. My bathroom buddy was in Wave 1. Eventually, a man came running towards us, so we asked him how much farther to the Athletes’ Village. He looked at his watch and casually said, “About a 6 minute run.” A six minute RUN? We were still 3/4’s of a mile away with little to no time before the start of the race?! We picked up our pace to a brisk run. My legs were stiff and uninterested in running. My lungs responded lethargically. Running along the side of the road before the marathon, I don’t know what scared me more – the fact that I didn’t have my bag OR the fact that I was already out of breath. How would I run a marathon if I was already panting like a dog? Eventually, Athletes’ Village appeared up ahead. My bathroom buddy sped off to make her 10am start time. Miraculously, I quickly saw the woman I’d been sitting next to on my bus – with TWO bags slung over her shoulder! I waved wildly and she waved back. As she handed me my bag, I trembled with jittery nerves. 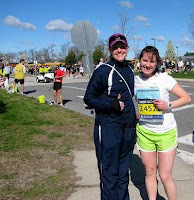 I thanked my bag-savior, Megan, and we took a picture together to commemorate our pre-marathon bond. She saved my day. I sat down on a curb to catch my breath. The marathon hadn’t even started, and I’d already gone an extra mile, quite literally. By 10:30am, I was tucked in between hundreds of other runners. In front of me was a sea of runners. Behind us, another sea of runners. Each individual was just a drop of water in a tidal wave of energy and excitement. At first, we stood still. Then we began moving slowly. Walking turned to shuffling and shuffling soon became jogging. Crossing the official start line at 10:45am, we were off and running. Wow! What an eventful morning. How could you run a marathon after all of that?